James P. “Jim” Lange, age 75, of Belle passed away on Tuesday, September 25, 2018 at his residence. James was born on April 10, 1943, in Jefferson City, a son to the late Victor and Gladys (Mittlehauser) Lange. He was a graduate of the Maries RII school district and a lifelong area resident. In June of 1962, James was united in marriage to Karen Hawkins. From this union, four children were born. Karen survives of their home near Belle. James was a member of the Koenig Methodist Church and belonged to the Masonic Lodge #373 in Belle. James was employed by the Rock Island Railroad on a bridge crew for a couple of years but his main employment was with Kingsford Charcoal. James worked there for 39 years before retiring in April of 2006. James had a love for the land raising crops and beef cattle. He loved working his family’s farm. 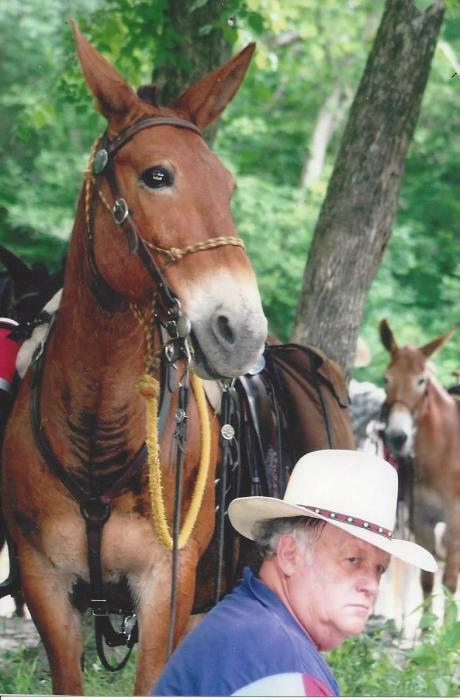 He was the Belle school board president for several years and his hobbies included mule riding, watching westerns with John Wayne and Roy Rogers, and boating and gigging on the Gasconade River. James enjoyed going to the local cafes later in life to visit with friends but his best times were spent with his family. He will be missed by all those that knew and loved him. In addition to his wife of 56 years, James is survived by: four children, Chris Lange and his wife Dawn of Belle, Jeanette Lansford and her husband Darrell of Belle, Steve Lange and his wife Susan of Belle, and Jim Lange of Belle; eight grandchildren, Dylan Lange, Casey Stockton, Nathan Lansford, Drew Lansford, Jordan Lange. Jesse Lange, Talton Lange and Sydney Lange; eight great-grandchildren; and one brother, Leon Lange and his wife Judy of Metamora, IL, as well as many extended family members and friends. James is preceded in death by his parents and grandparents. Funeral services will be at 10:00 a.m. on Friday, September 28, 2018 the Koenig Methodist Church with Kevin Runge officiating. Interment will be in the church cemetery. Expressions of sympathy may be made to the Koenig Methodist Church.